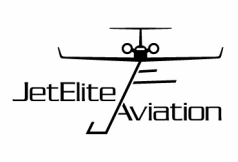 1) Why should I choose JetElite Aviation for my aviation needs? JetElite Aviation offers the most comprehensive and individualized aviation services with the backing of diverse experience. We can completely personalize our management and services plan to be tailored to your identified and specific needs. Literally, we make the entire aircraft ownership experience what it should be – enjoyable, effective, efficient, productive and seamless. With our commitment to safety, and our unwavering dedication to your needs and wants, you can rest assured that your biggest asset is cost–effective while being operated under the strictest of standards. We are a boutique style company – the perfect size to be able to take care of your finest details, as well as offer you unbeatable financial benefits in every aspect of the operation of your aircraft. 2) Does my aircraft need to be based at a certain airport to receive the benefits of JetElite management and services? Your aircraft can be based at any airport you desire that is the most convenient for you. We have the ability to manage your aircraft to the finest detail no matter where you are. Our main office is located centrally to South Florida, in Boca Raton – with easy vehicle access to any airport in the Central and South Florida region. We can even provide our signature personal services to your aircraft based in other states around the United States. We’ve got you covered! 3) Can I have my aircraft available to be chartered by charter clientele? Absolutely! JetElite Aviation is not a charter company, however we have many close relationships with some of the most reputable charter companies in the United States, enabling you to have our highly sought after aircraft management combined with their charter expertise and client base. This way, you know you and your aircraft are getting pampered through our services, all while receiving benefits of chartering your aircraft out. We at JetElite, know very well that not every aircraft owner wants to charter their aircraft out, and in this way, we do not in any way force you to make your aircraft available for charter. If you do wish to have your aircraft chartered, we will enter into contract with one of the reputable, industry leading charter companies we have a working relationship with and will be sure to supply your flight crew and aircraft the training and maintenance necessary to comply with Part 135 charter standards. Our day to day operation is conducted to the highest grade of safety standards, no matter Part 135 charter or Part 91 owner flying. 4) How do you maintain the safety of me, my passengers and my airplane? Safety is so paramount that we base our decisions on safety first. Your specific flight crew will be trained under the highest industry standards at the world’s most premier training facilities. They will receive the same high standard recurrent training every six months. Every pilot hired will have individually amassed thousands of hours of flight time experience, possess high accolades and show exceptional qualifications for hiring. Our exceptional maintenance personnel pamper your aircraft while maintaining it in accordance to manufacturer standards and recommendations. JetElite is abreast of any and all service bulletins and modification requirements through the life of your aircraft and will maintain a proactive approach to maintaining your asset so you can fly wherever you need, whenever you need to go. Through our everyday diligence in safety, you can rest assured you, your passengers and aircraft are in the safest hands. 5) Can JetElite effectively accommodate any aircraft type? JetElite will provide our expertise and services to any make and model aircraft you chose, from VLJ's (Very Light Jets), turboprops, mid-size jets, large cabin jets, ultra long range bizjets and even bizliners (Airliner models modified for private or corporate use). We have extensive experience that spans wingtip to wingtip for early and late models of Gulfstream, Bombardier, Dassault Falcon, Embraer, Boeing, Airbus, Cessna Citation, and Beechcraft, among others. Bottom line, no matter what your aircraft type is, we can offer our sophisticated services in the same world-class ways. 6) Can my current flight crew still fly my aircraft while being managed by JetElite? We value the relationship between pilot and passenger, so if you are currently not being managed by a professional management group, or if you are with a different management company, we will gladly allow your preferred crew members to continue flying your aircraft. We will ensure their training and safety standards are up to company and industry standards and implement them into our company culture. 7) What can I expect during a typical month of JetElite management services? At the end of each month, you can expect a detailed, itemized statement from JetElite which shows you in complete transparency every activity completed on your aircraft as per what the month entailed operationally. 8) What can I expect as a management fee for my aircraft? JetElite’s management fee will vary depending on several factors including your aircraft type and your custom tailored management program. In most cases, our low fee will be completely offset through the benefits of our achieved fleet discounts, which are passed directly onto you. Overall, our fee barely accounts for a fraction of your annual aircraft budget. 9) Can JetElite offer the same detailed management no matter if I have one aircraft or multiple? JetElite will offer the same high-class services to any number of aircraft you own or will own. We will manage a fleet of aircraft for personal individuals as well as companies in the same fashion as one owner with one airplane. It is all part of our custom tailored management program. 10) Can I call JetElite to help me broker my charter flights? We welcome your needs to charter an aircraft, and on your behalf handle every detail you desire and need. This will give you the ease of a single point of contact to handle every aspect of your charter flight. It doesn’t matter if you need a small twin aircraft for a Bahamas adventure or an ultra-long range bizjet for a business venture in a far away country; JetElite has the ability to arrange the perfect charter flight for your needs, without any headache to you. Call us today and let us do the work of inquiring, negotiating, and arranging your flight today!